When my daughter was little, she HATED reading books. She didn’t like the pictures. She didn’t like the cadence of my voice. She didn’t even like the sit-in-mama’s-lap-cuddles. I was desperate for her to learn to read (more importantly, for her to love reading) and to know that reading aloud benefits her. So imagine my horror to find that my girl just wasn’t into it. Like, at all. But the months went by, and I just kept reading, and reading, and reading. I kept reading to her, near her, in the same vicinity as her because I knew that reading aloud benefits her. Even if she wouldn’t sit and listen to a book, I would read aloud while she was in the room, or even in the tub. Little by little, she would start to stay for a page or two, and then a full book. These days, at age 5, she requires three stories before she goes to bed (and a stack of preschool children’s books by her bed to look at as she falls asleep). Studies show that reading aloud benefits kids because it’s the single most important thing you can do to encourage academic success. Raising a reader also helps to develop important neural pathways and is crucial in language development. (Source: http://www.reachoutandread.org/our-story/importance-of-reading-aloud/) Reading shows kids a window into another world (or worlds!) and teaches them both empathy and curiosity in the process. 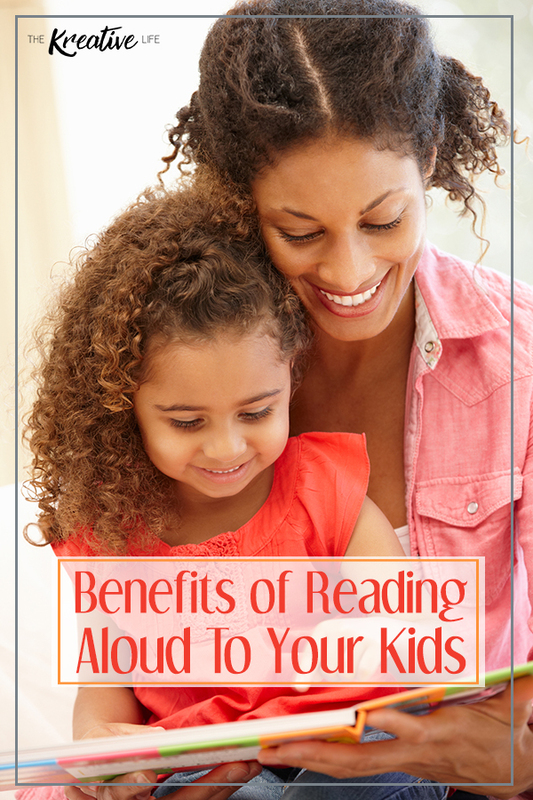 Ask any teacher (like me, for example) and they’ll tell you that you should be reading aloud to your child every day. But often, their advice stops there. There are so many different ways that you can read to and with your child. Varying the way you read aloud can offer your child so many different skills (and, if we’re being honest, keep things interesting for you). Here are seven fun ways to read with your kids that their future teachers will thank you for. Look, I’m a teacher- I know how important letters, sounds, and sight words are. We do want to make sure that they learn to read at some point, and there will be a time and place for that. However, it’s equally important that they learn to be a reader, too. If you can do just one thing, teach your kids to LOVE reading. Take them to the library and interactive storytimes. Read them all kinds of books- silly books, rhyming books, books about topics they’re interested in. Let them see the joy in a good book, and help them to find that joy as much as they can. I love Doctor Seuss as much as the next parent does (read: a slightly-annoyed-but-still-tolerable amount), but kids need to read a large variety of materials. Fiction books are fantastic and lots of fun, but make sure to change it up once in a while. Consider getting your child a subscription to a magazine, such as Highlights or Zoobooks . Read the instructions on a box of cake mix together, and browse the informational text section at the library. Point out words on signs and on buildings. Reading for pleasure is an important part of raising a lifelong reader, but there are LOTS more reasons for us to read. Focusing on how words can give them information sets your children up for a future of reading-to-learn that will last well beyond the “learning to read” phase. As difficult as it can be to stomach “The Three Little Pigs” yet again, it’s so, SO good for kids. Repeated readings of texts can give kids tons of practice with word patterns, reading comprehension, and can even help them to pick out familiar words. If you just can’t read the same book one more time, consider asking your child to “read” the book to you. You may be surprised by how much of the story they remember, and they’ll get a kick out of being in the drivers’ seat. Teaching kids to love books with no pictures can be crazy fun (Think “The Book with No Pictures “) or such a challenge (I’m looking at you, Harry Potter. Why can’t she love it as much as I do??). But have you considered adding some books without WORDS to your library? There are several great books with fabulous illustrations that leave the storytelling to the reader. Books like “Tuesday,” “Journey,” and “Polar Bear Bowler ” offer rich, beautiful pictures- but no text. Kids love to gain information just from the pictures, and can then take the lead on telling or “read” the story in their own words. Try “reading” these books again and again, changing the story a little each time you do so. There is such magic in a good book with rhymes. Kids love to hear the tone, expression, and patterns in your voice as you read. Rhyming books are a fantastic way to work on phonemic awareness skills (listening to and playing with the sounds in words), which is a strong predictor of a child’s success in learning to read. Rhymes also make it much easier for kids to “memorize” a story, and then read it back to you. Good old Doctor Seuss is there for you in the rhyming department, but we love to add some books that are fun for us to read, too. Books like The Gruffalo , Monster Trouble, and Gazpacho for Nacho all provide lots of fun new rhyming words and make it easy for kids to read along as time goes on. One of the best ways you can turn your child into a competent reader is to focus on reading comprehension as much as you do sounding out words. And this is so easy to do as part of your bedtime routine or storytime each day, that you’ll be kicking yourself for not starting it sooner. Start with the front cover of the book, for example. There is SO much information for kids to pick up there. Ask kids to make some big predictions about the book based just on the cover. Who will it be about (characters)? Where are they (setting)? What do you think they’ll be doing (plot/making predictions)? Remember, the focus is on keeping reading fun for kids. Ask some questions, but spread them out a bit. You want the story to shine without a ton of interruptions. It may take some time to find balance, but a few questions per reading should be sufficient to practice reading comprehension skills without losing the magic of the book. And I don’t mean TOGETHER together. Children want to be like their parents. If they see you reading on a regular basis, they’ll think reading is important. Be a good role model by letting your kids see you reading for pleasure. Without much added effort, parents can easily create a richer experience for their young readers. Ask questions, let them take the lead, change up your genre- shake up the experience as much as you’d like. At the end of the day, the goal is to make reading as fun and rewarding for your littles as possible. They- and their future teachers – will certainly thank you for it. 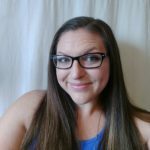 Jaymi Torrez blogs at The Salty Mamas with her bestie and blogging partner Christine. She is the mother of two small children and is a credentialed Special Education and Elementary School Teacher. She dreams of a hot cup of coffee and a good book, but can more often be found chasing kids at the park or commiserating about parenting with her MomSquad. You can find The Salty Mamas on Facebook, Instagram, and Twitter.